Food Management Today talks about our food and beverage analysis systems. Jamie Duncan, QCL technical specialist, has been interviewed for the research that the magazine realized on food inspection, testing and quality control on the January/February 2014 edition. QCL is the CDR FoodLab® range distributor in UK. 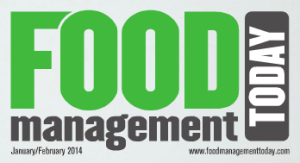 Food Management Today is the UK magazine born in April 2013 from the editorial project of Meat Management, independent and vibrant editorial container of news and events concerning the meat industry. It has an in print and online formats that convey independent and top quality editorial contents about the food manufacturing and processing market. It is developed with the collaboration of the best writers and enriched by incisive informed comment. Food analysis in-line with CDR FoodLab®: CDR UK distributor on Food Management Today was last modified: May 25th, 2017 by CDR s.r.l.